No Trespassing -- hikers only! This is not our usual Humber Valley Heritage Trail hike, starting from Bolton. 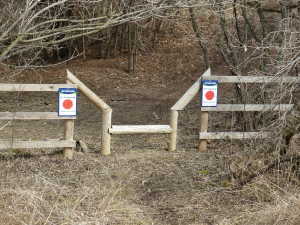 This trail is located between Bolton and Kleinburg. 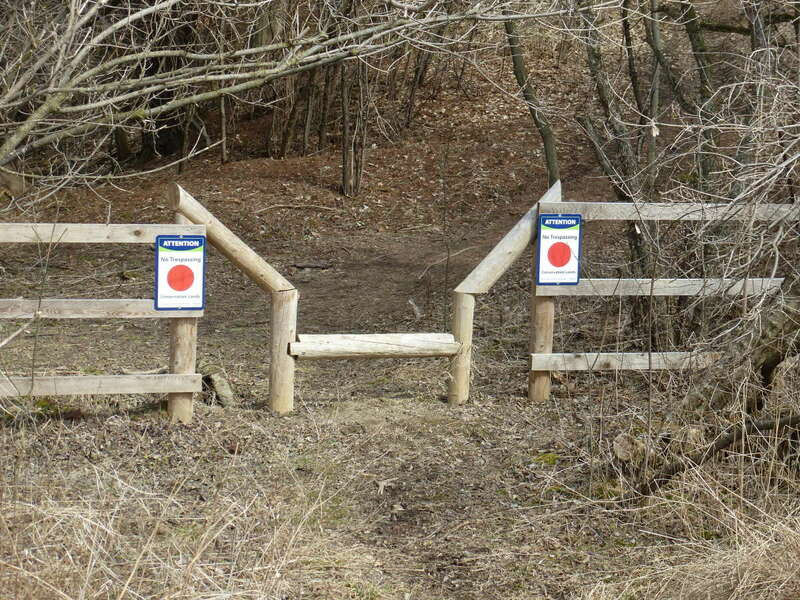 There are nasty looking signs that say "No Trespassing" that ban all but approved activities. Right now, the only approved activity is hiking, which is what we will be doing. This is not our usual Humber Valley Heritage Trail hike, We have not done this trail before. Take Highway 409 west to Highway 427 north. Take Highway 427 north all the way to the end at Zemway Boulevard. Take Zemway Boulevard west to New Huntington Road. This intersection has a traffic light. Take New Huntington Road north. This quickly becomes just plain Huntington Road. Continue north. As you drive north, you will cross Langstaff, Rutherford, Major MacKenzie, and some train tracks. The trail head is at Kirby Road. North of Kirby Road, Huntington Road is clearly labeled as a dead end. Park on the side of the road, north of the intersection. Google wants to send you up Highway 400. The routes look approximately the same distance to me. I have tested my directions, and you should have no problems finding the spot. As of Apr 2, I have scouted an eight kilometer hike. It would be nice if it were a little longer. There are some trails out of Kleinburg we can use to make this more of a workout. There are some nice bars in Kleinburg, so this is a good spot to head for, anyway. There are some hills, and in early spring, things could be muddy. There was lots of snow and ice on the ground when I hiked it out.